SANDARAA is being hailed as “one of the most interesting and exciting things to happen in the New York music scene.” This new musical collaboration explores a vast repertoire of South Asian musical traditions blended with the sounds and sensibilities of Eastern Europe, the Balkans, and New York. The band captivates audiences and fascinates listeners with their unique sound and inspired approach to musical and cultural synthesis. Sandaraa is co-fronted by one of Pakistan and Afghanistan's most loved vocalists, Zebunnisa (Zeb) Bangash, and Brooklyn's Klezmer clarinet virtuoso Michael Winograd. The pair became acquainted when, in the summer of 2012, Zeb invited Michael to join her band Zeb and Haniya for a concert at the Pakistani Embassy in Washington DC. Following a successful concert, they imagined a group exploring the connections between Balochi, Afghani, Klezmer music and more, recruiting a diverse cast of fearless innovators to join them. In 2013 SANDARAA was awarded the prestigious MAP fun fellowship and Chamber Music America commission grants. Zebunnisa (Zeb) Bangash is one of Pakistan's most loved vocalists. Also a songwriter along with partner Haniya Aslam, she is the lead singer of the duo Zeb and Haniya. Zeb and Haniya made a splash on Pakistan's music scene with their debut album Chup and managed to find audiences in countries where they haven't even officially released their music; the best examples being of neighbors Afghanistan and India, and also including Central Asian countries Uzbekistan and Tajikistan and even East Asian countries including Indonesia and Malaysia. Zeb is part of the first generation of Pakistani musicians to have established themselves internationally by way of social media. In particular, Zeb and Haniya's musical collaborations on Pakistan's Coke Studio program have gone viral, winning them fans well beyond Pakistan's borders. Zeb has been a delegate at Poptech, a global conference on innovation in 2011 and is a fellow at the US Pakistan Leadership Forum since 2012. Zeb and Haniya represented Pakistan in the fall of 2012 as part of the US State Department's Center Stage project, promoting Pakistan's culture all over the United States. 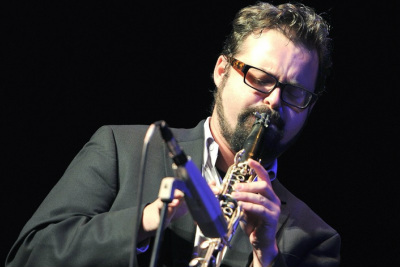 Michael Winograd is a clarinetist living in Brooklyn, New York. He specializes in klezmer music and has concertized and taught all over the world. Michael has played with Itzhak Perlman, Socalled, Budowitz, Frank London, the Klezmer Conservatory Band, The Painted Bird, Ayelet Gottleib and many more. He is one third of the Yiddish Art Trio, co-leads the Tarras Band, and his newest project, Sandaraa, a collaboration with vocalist Zeb Bangash from Lahore, Pakistan, received the prestigious Map Fund Fellowship in 2013. Michael's latest recording, Storm Game, was released on Golden Horn Records in 2012. Violinist Eylem Basaldi has musical interests that span many genres and cultures. A native of Turkey, Eylem is sought after for performances and recording sessions in the Middle Eastern, Balkan and Indie Rock music scenes throughout the Northeast. She is a member of Dolunay, a trio playing Rumeli urban folk music of the Turkish people from across the Balkans. 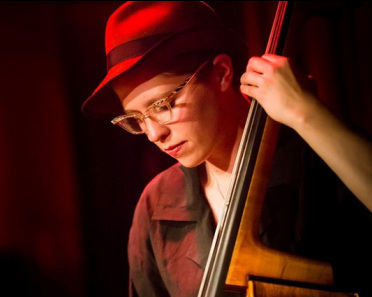 She regularly plays and records with various musicians and bands including Ahmet Erdogdular and Snarky Puppy and has played with Omer Faruk Tekbilek, Ercan Irmak, Nukhet Duru, Dave Brubeck, Borromeo String Quartet, Boston Philharmonic Orchestra and Dunya Musician's Collective, and is a graduate of New England Conservatory of Music. 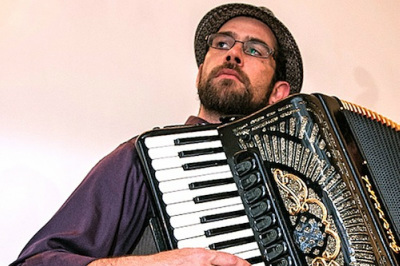 Accordionist Patrick Farrell specializes in klezmer, new-music, various East-European folk musics, and brass bands. He performs with chamber-folk ensemble Ljova and the Kontraband, Frank London's Klezmer Brass All-Stars, Alicia Svigals' Klezmer Fiddle Express, plays strange and unusual duets with Brooklyn trumpeter Ben Holmes, new Yiddish song duets with singer Sveta Kundish of Berlin, and Serbian-style brass with Brooklyn's Veveritse Brass Band. Farrell has been dubbed a "wizard", a player of “mordant wit and blistering speed”, and has appeared on over 30 recordings. 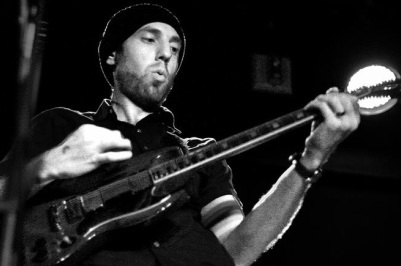 Yoshie Fruchter is a guitar and bass player whose band, Pitom (Tzadik Records) has received critical acclaim from Jazz Times magazine, the Wall Street Journal, Guitar Player Magazine and many more. He has toured the US and Europe with Pitom and other groups. Yoshie is also a sought-after freelance musician in New York City and has performed with John Zorn, Cyro Baptista, Frank London, David Krakauer, SoCalled, and Matisyahu, among many others. Zoe Guigueno is a bassist originally from a small island off the west coast of British Columbia. For the past decade she has been touring internationally and recording with artists from all over North America. A graduate of Toronto's Humber College Contemporary Music Program, Zoe currently resides in Brooklyn. Percussionist Richie Barshay, noted for his work with the Herbie Hancock Quartet, has established himself as a prominent musical voice of his generation and is regarded as "a player to watch" by JazzTimes magazine. On tour and on recordings his eclectic resume so far includes Herbie Hancock, Chick Corea, Esperanza Spalding, The Klezmatics, Fred Hersch, Kenny Werner, Lee Konitz, Natalie Merchant, David Krakauer, Fred Wesley, Claudia Acuña, Bobby McFerrin and Pete Seeger among others.